Nothing beats fresh, homemade breakfast sausage! It's fun and and easy to make. With our Sausage Seasonings you are in control. 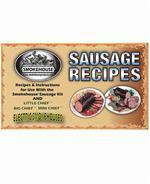 Make your sausage using 100% pork or mix pork with turkey or wild game–deer, elk, buffalo, antelope. Hi Mountain Jerky's Country Maple sausage is pure down home goodness. Designed to mix with ground pork, or a combination of pork and beef or wild game. Each kit seasons 24 lbs of meat, one lb at a time if you choose. A delicious brine for poultry, fish and pork. You won't believe how tender, juicy and flavorful brined meat can be. 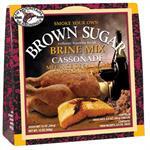 Each brine kit contains two packets of mix and easy to follow instructions. Delicious blend of black pepper, garlic, and spices. 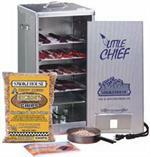 Add your own choice of meats, this kit makes 30 pounds of easy, homemade sausage. Hi Mountain’s Garlic Pepper Rub Enhances the natural flavors of all meats and is a great seasoning for vegetables and side dishes. Rub liberally onto chicken, pork, lamb, beef, elk or deer. Let meat sit for 30 minutes then cook as desired. Make breakfast link sausage with the pull of the trigger. Kit includes Link Master gun, one box of breakfast sausage seasoning, collagen casings and easy to follow instructions. No matter how you like to cook your chicken, turkey and game birds, our Poultry Rub enhances the natural flavor. Try using in your favorite recipes for that great Western flavor! Bottle has dual action flip lid for spooning or shaking. Rub onto your salmon then smoke, grill or bake it for a delicious meal. Try using in your favorite recipes for that great Western flavor! Bottle has dual action flip lid for spooning or shaking. Liven up your salmon and poultry with the citrus smoke from Hi Mountain Jerky's Alder Orange Peel Smoke Can. The Alder wood chips and orange peel give food a bright, sweet smoke flavor. Hi Mountain Jerky's Smokehouse in a Can. Hickory Lemon Basil flavor combination works well with fish and poultry. Easy to use, excellent flavors. 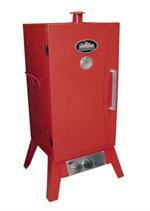 Natural Mesquite wood with real coffee beans create a smoky flavor that compliments steaks and ribs. Easily add a rich, smoke flavor with the Hi Mountain Jerky Smokehouse smoke can in Mesquite Coffee flavor. Whether you like your steak rare or well done, our Steak Rub enhances the natural flavor. Try using in your favorite recipes for that great Western flavor! Bottle has dual action flip lid for spooning or shaking. Authentic Wyoming recipe is true to the Old West. Our Venison Rub will enhance the natural flavor of wild game. Try using in your favorite recipes for that great Western flair! Bottle has dual action flip lid for spooning or shaking. 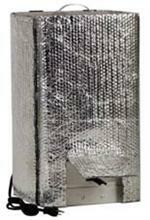 Smokehouse Insulation Blanket for all Little or Big Chief Smokers by Luhr-Jensen. 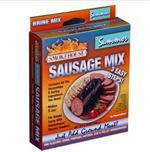 Easy to use home sausage making kit! 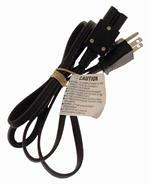 Includes Free recipe booklet and complete instructions. 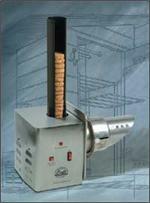 The ideal companion to your Home Electric Smokehouse.